Cindy and Roxanne chat about the treacherous history of European colonialism in North America and the way forward to healing. 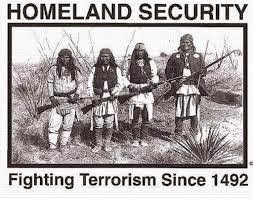 The history of the US Empire cannot be separated from the history of the Indigenous Peoples: to do so is denying that the "American Way" has always been genocidal at its roots and the idea that we can somehow "take our country back" is crazy-talk. It was never "our" country in the first place and just to what epoch in our short history do we want to return? Roxanne Dunbar-Ortiz has written a history of US Empire from the perspective of the Original People. The book is packed with damning facts, but written with the heart soul of a person who has been involved in Indigenous resistance and civil rights' movement for decades.